An understanding of intellectual property and its protection is vital for anyone with a business idea. Experience tells us that bad intellectual property can make or break a successful business before it’s even started, so protect your idea from the offset. 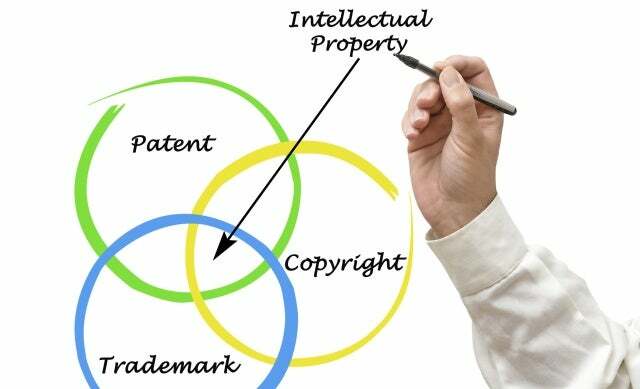 To mark this year’s World IP Day, we’ve collected some top tips from the British Library’s Business & IP Centre about knowing your intellectual property and keeping your business idea safe. Copyright protection can apply to almost everything – not just products, film, music or trademarks, but even a shopping list or lecture notes. Find out more about how copyright applies on the Intellectual Property Office website. Copyright is different to other forms of intellectual property as you don’t need to register to get it, pay any fees or complete any forms – it automatically exists as soon as you create your work. Never assume that your idea is a brand new invention, just because you haven’t seen it in the shops. Lots of existing patented ideas never make it into shops or are simply not available. To ensure your business idea is eligible for patenting, you need to have a look at a patent database. They are not always the most straightforward to use, so it may be wise to seek the help of an expert. As well as the British Library in London, you can ask for help at any Patent Library across the country. When you think of a patentable idea, keep it secret – if you have to talk about it use non-disclosure agreements to protect your idea from being passed on and copied. You can find a specimen non-disclosure agreement here. If you patent an invention, this doesn’t mean you necessarily have a right to use it. If it’s an improvement on an older invention, and the patent on the older version is still valid, you may well need the permission of the owner of the patent to take your version to market. Make sure your brand name and logo aren’t already registered to anyone for the same or closely related products or services, or you could risk being sued. The list is accessed on the Intellectual Property Office’s website here and for guidance on how to search you can visit the Business & IP Centre’s trademarks page. However, searching for existing trade marks is only half the job – you also need to look in trade magazines and online. This is because somebody using an unregistered mark still has the right to sue you if they think you’re copying or impersonating their company in the market. Registering a design protects everything about how your product looks visually, but it won’t protect any of the mechanics of how it works or what it does – find out more using the British Library’s registered designs page. A registered design will give you exclusive rights to stop people making or selling a product in your design for 25 years in the UK. If you choose not to register your design you will still get automatic ‘design rights’ but these only last 10-15 years and are not comprehensive. The British Library runs a regular free workshop, ‘Beginners Guide to Intellectual Property’, which can be joined at www.bl.uk/bipc. Great stuff about Intellectual property.Thanks @Philip Eagle.